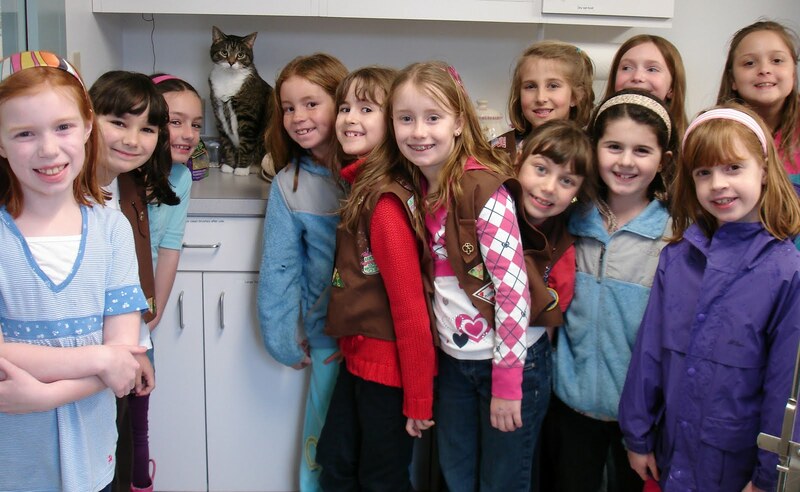 Medfield Animal Shelter News: Thank You Medfield Brownie Troop #7487! Wow, Medfield Brownie Troop #7487 collected donations for the shelter and boy did they do a great job! They came by for a visit and to drop off the donations yesterday, and they filled our lobby. They brought us all of our most needed items including tons of canned cat and dog food, laundry detergent, cat litter, garbage bags, sponges and much, much more. We are so grateful to this generous and hard-working group of girls. There is not a day that goes by that we don't feel grateful to live in such a generous community.